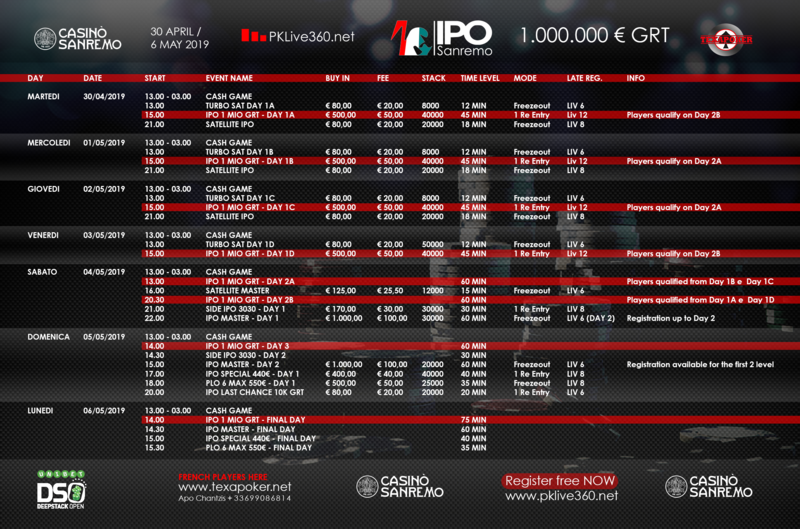 IPO, as is tradition, is not only the guaranteed 1 million euro Main Event – you can register HERE for the main event. In fact, there are numerous side events that, along with cash games, will accompany players throughout the week of the festival (30th April – 6th May 2019), thus guaranteeing an important schedule with tournaments suitable for all budgets and skills. . The curtain, on the side events, will be raised on Saturday 5 May at 21:00 with the day 1 of SIDE IPO 3030, 200 euros of buyin starting stack of 30,000 coins and 30-minute levels. At 22.00, again on Saturday 5 May, the poker players will take the field to compete for the title of the IPO Master with 1,100 euros in buyin, 20,000 starting chips and 60 minutes at the level with the possibility of entry in late registration by the end of second level of day2. On Sunday 5 May, in addition to the day2 of the IPO Side 3030 and the IPO Master, the shuffle up and deal of the IPO Special Day 1 will be announced at 17.00 440 € – 440 euro buyin starting stack of 40,000 coins and 40 minutes at level. At 6.00 pm it will be up to the Pot Limit Omaha in 6max mode from 550 euros, 25,000 starting chips and 35 minutes in freezeout mode. 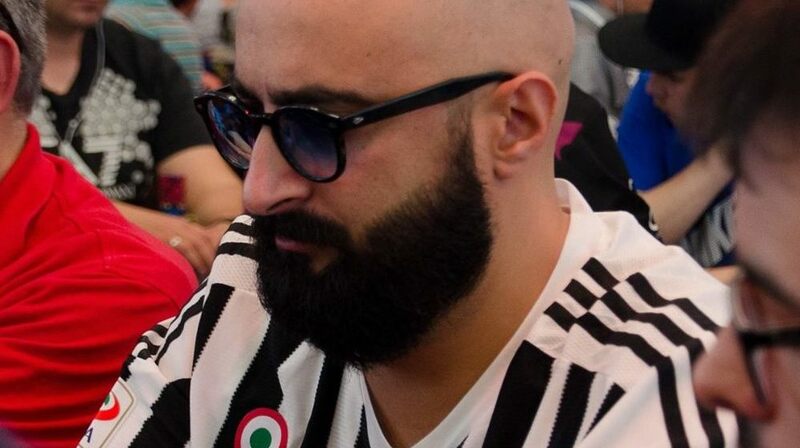 The cash game, on the other hand, will be available every day, from April 30th, from 1:00 pm to 3:00 am and will be able to satisfy the gaming request of all the players who will invade Sanremo for a seven-day high level poker game. More than 2400 players registered..